The morning was full of delicate light and cold puffs of wind spiralled around. The days weren’t dismal and grey anymore – they were sunshiny and bright. Summer had almost arrived. Yasmeen’s garden looked revived and bright, washed in pale yellow sunlight. Butterflies fluttered around the flowers and birds flew from tree to tree. It was a delight waking up to such a stunning sight on a Sunday morning. Yasmeen got out of the bed, took a shower and slipped into a white tee and blue jeans. She ate some breakfast and guzzled down a cup of tea. She then left the house for grocery shopping. When she returned, she found a bunch of flowers lying on the table in the lounge and a neatly folded note lying beside it. Without even reading it, Yasmeen tore the note into pieces and asked her maid, Rina, to throw the flowers away. She went outside to her freshly mowed garden and absorbed the sight of all the dazzling flowers and tall trees. The splendour of it all calmed her unquiet mind. She then plucked a flower from the flowerbed. It was a pink rose. “You’re a flower. My precious little flower,” mother would often say. And maybe she was. She was like a wilted and withered flower that once bloomed and spread colours. But then somebody plucked it out. Maybe, she was like the flower that she had just plucked from the flowerbed. Yasmeen met Talha at the National College of Arts (NCA). They were both studying architecture – he was doing so because of his passion and she was doing it because she was denied admission to medical colleges. Only some time had passed of studying together and they both fell in love with each other. And in their last year of university, on Yasmeen’s birthday, Talha told her he wanted to marry her. It was a dream come true for Yasmeen. Months had passed, and Talha’s parents hadn’t come with the proposal. Mother had told her she was waiting in vain, but Yasmeen never believed her. Talha’s promises were more convincing than her mother’s unremitting warnings. She was a girl who believed in fairy tales. She was a girl not yet exposed to betrayal and disloyalty. Talha’s words rang through and through in Yasmeen’s mind. If he never intended to marry her, why had he said such things to her? More days had passed and still there was no sign of Talha and his parents. Talha had even stopped responding to Yasmeen’s calls and texts. Doubts niggled at her mind. What if her mother’s warnings were true? Yasmeen decided to find out. The sun was just low enough to spray everything pink and a blustery autumn wind blew. 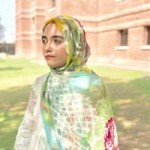 Yasmeen’s dupatta flew gallantly behind her back as she stood outside Talha’s house. His servant answered the door and escorted her inside. Talha’s mother met her. Her eyes viewed her with revulsion and dislike but she smiled at her anyway. “Look Yasmeen, Talha is in the US right now completing his higher studies, and when he comes back, he’s getting married to my niece, Farah. They got engaged only a few months back. It’s best that you forget him,” she said. “He never told me. How could he? He said he’ll only marry me,” Yasmeen’s voice was hoarse and edged with pain. “I don’t know what he’s told you, but he has told me something else completely. He is pretty happy at the prospect of getting married to Farah,” Talha’s mother said quietly. “You raised a cheater and a liar. I will never forgive him for the lies he’s fed me with,” Yasmeen felt her temper flaming. When Yasmeen returned home, she wrapped her arms tightly around her mother. Even her mother’s words didn’t bring any comfort to her. She cried her heart out that night. Yasmeen had moved on in her life. She continued to work as an architect. She did not care about the misery that Talha inflicted on her. She became resistant to suffering. It did not hurt her anymore. Yasmeen was sitting in the far corner of the coffee shop. Lunch break was almost over. She stood up to leave when Talha entered. He was accompanied by a girl, dark-eyed and fair, young and willowy. Tears came all at once, and suddenly Yasmeen’s cheeks were soaked. Some days later, Yasmeen woke up, went into the living room and found flowers lying on the table. A note was also fastened to the flowers. Yasmeen untangled it. I’m so sorry for what I did. I got married for only a few months and then divorced Farah. She made me the unhappiest man ever. Please answer my call just once. I still love you. Yasmeen ripped the letter into pieces and threw away the flowers. There was no place for Talha in her life anymore. Every year on her birthday, Talha would send her flowers and an “I’m sorry” note. 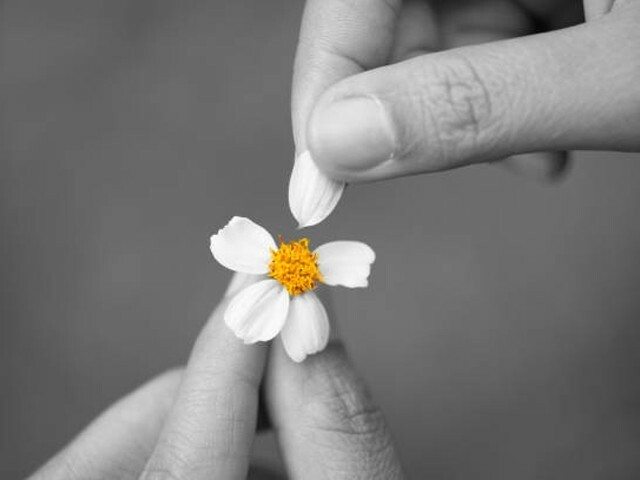 How easily people assumed that a sorry could fix everything. Yasmeen was watching the flowers flash prettily in the sun and trees soaring mightily in the sky when her mother came, and settled down in a chair across from her. She said nothing. A wide grin spread across Yasmeen’s face. Mother’s love and affection always withered away her pain and heartache. It was a love deeper than any other. The rest of the day Yasmeen spent time with her mother. They went out for shopping and then had dinner. Yasmeen felt a renewed happiness bubble into her life. At night, Yasmeen lay outside in the garden, under the mantle of stars. As she watched the stars fade from the sky one by one, she fell asleep. Among the flowers of the garden lay another flower tonight. A flower safely planted back into the flowerbed. A flower ready to bloom again.